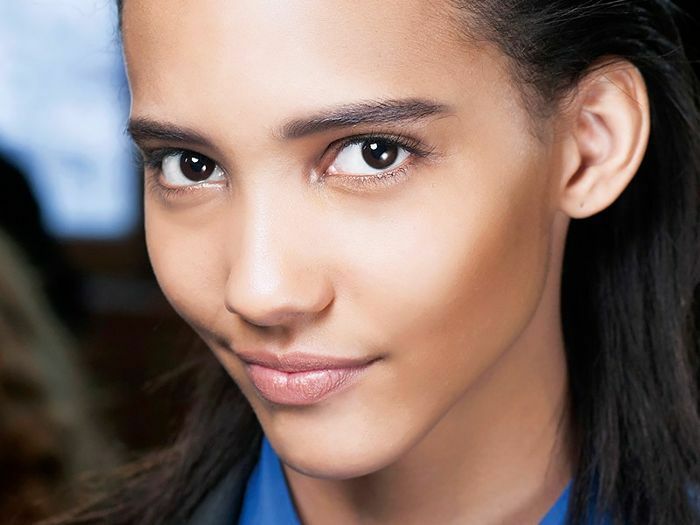 Feast your eyes on every spa-worthy product you can apply without leaving the couch. This is a luxurious treat for your face and your body. The mask does it all—lifts, plumps, tightens, lightens, brightens, and resurfaces the skin. That, and the results are visible within 15 to 30 minutes following application. 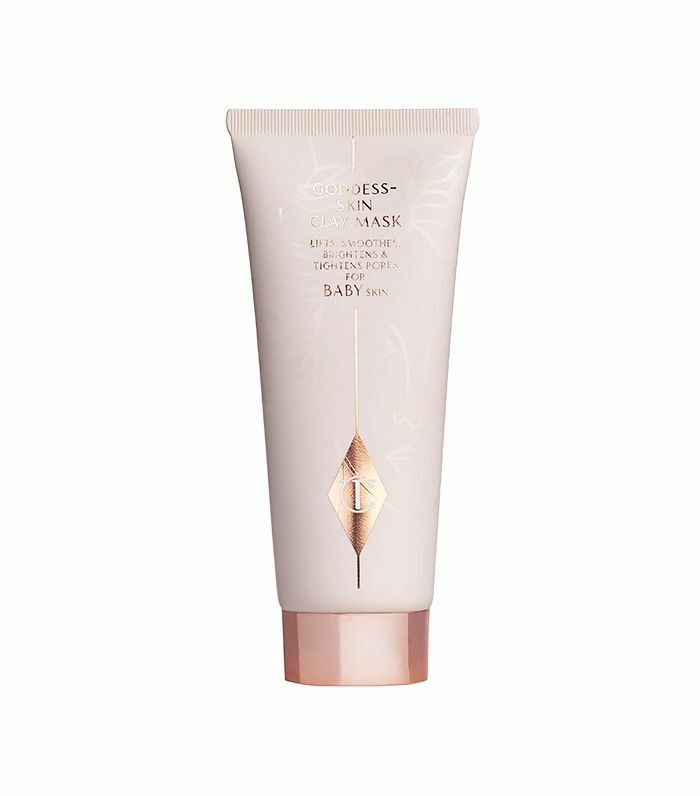 A celebrity favorite, this mask uses a fine diamond powder to gently exfoliate and clear away dead skin cells while it locks in moisture. After leaving it on your face for a bit, draw a warm bath and soak for a truly mind-blowing experience. This conveniently packaged peel is just as fun to apply as it is effective. Using a salon-type brush, apply the product to your skin to exfoliate and uncover refreshed skin in just three minutes. 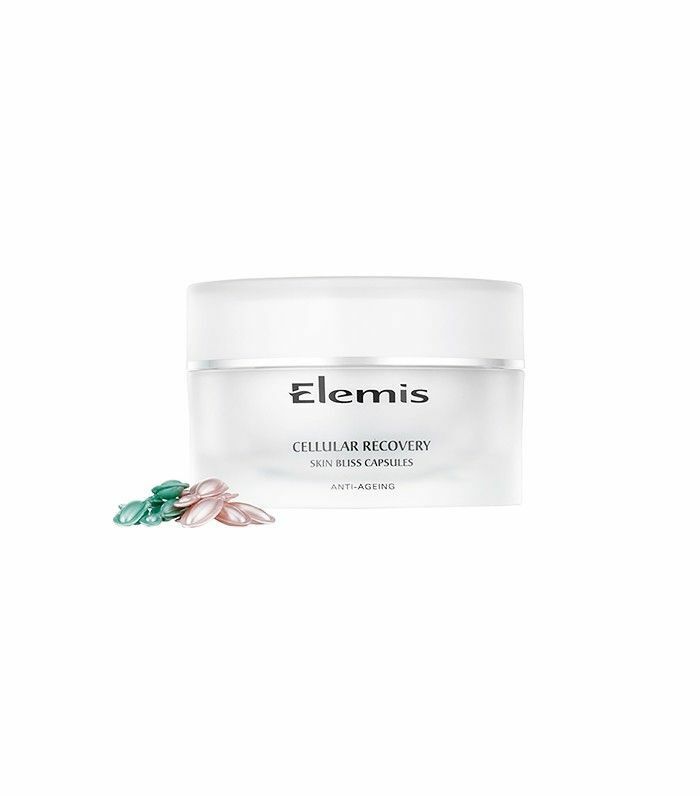 Rather than cause irritation, it stimulates the skin’s natural repair process, leaving your face silky and velvety smooth. 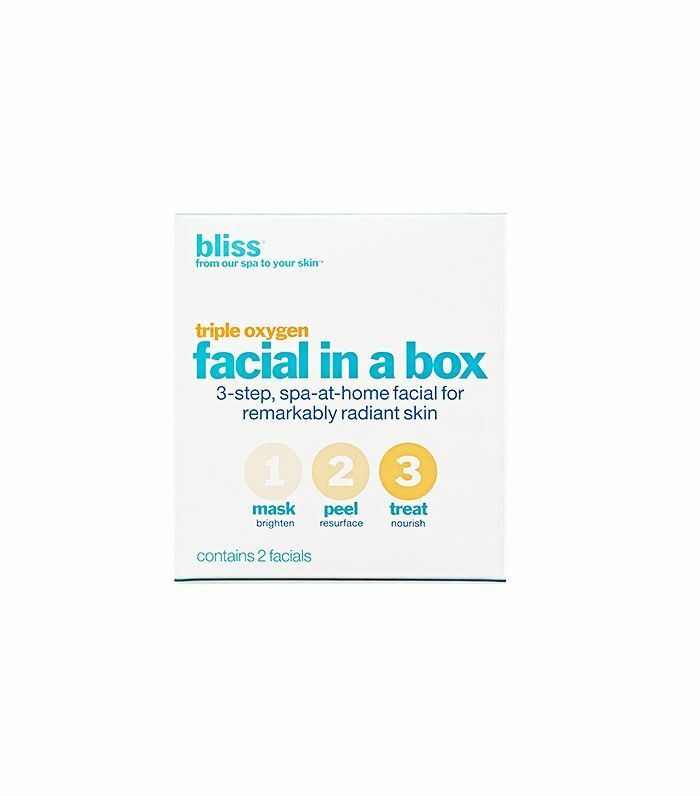 Featuring the very same formulas used in Bliss’s Triple Oxygen Facial, this treatment includes an energizing mask, glycolic acid peel (one of our very favorites), and an oxygen-infusing moisturizer. How's that for efficiency? If you have plans to binge-watch your favorite show this week, this is the perfect 40-minute treatment to help tired, possibly hungover (we’ve been there) skin. Touted as a "green juice for your face" the Mega Green Galaxy pack balances and conditions your pores while also helping to sooth and calm irritated skin. It draws out excess oil and delivers a potent dose of nutrients during a time when you need it most. Apply a healthy amount to your face, leave it on for 20 minutes, and wash it off. 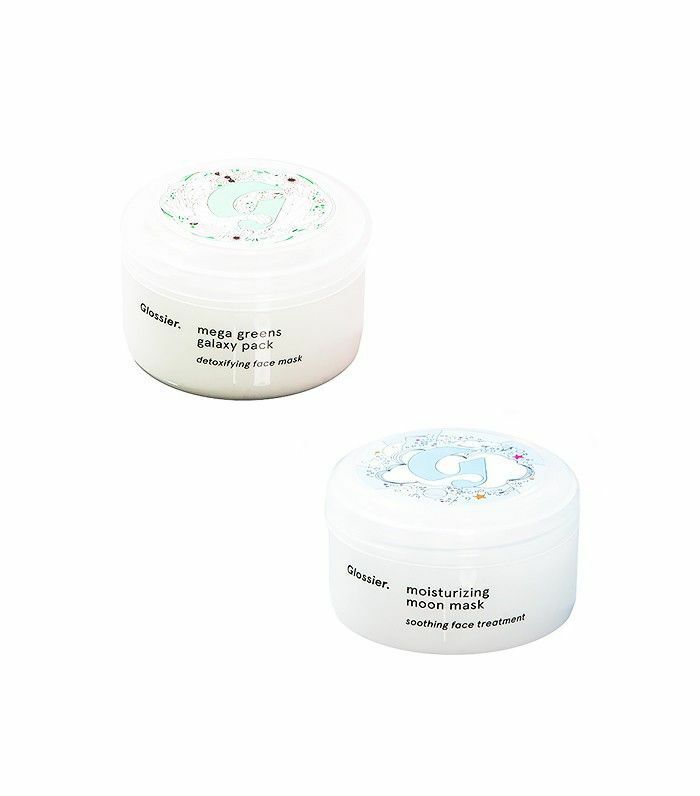 Afterward, it’s time for the creamy, dreamy Moisturizing Moon Mask. 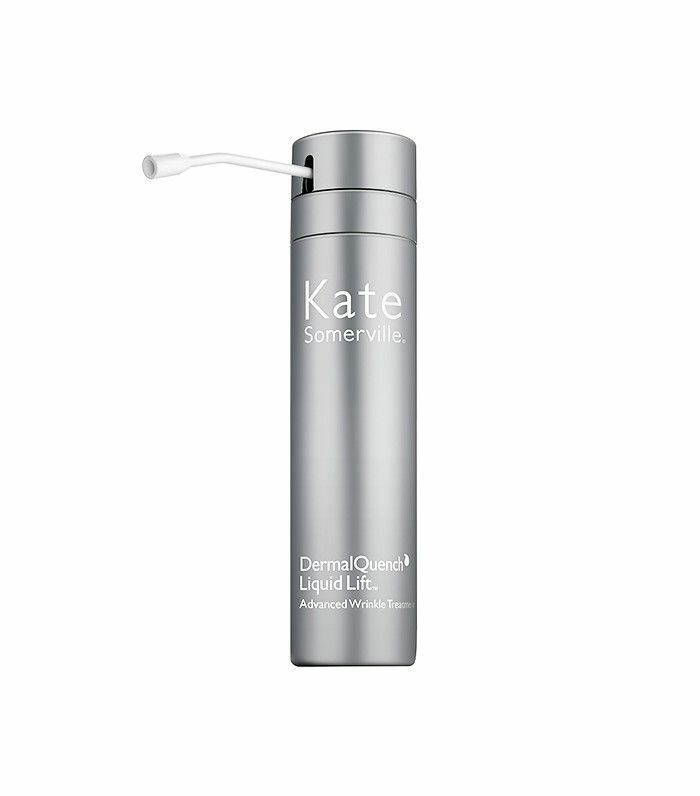 The first offering removes impurities and resets your skin, while the latter provides intense hydration. Together, these products do all the heavy lifting so you can enjoy some downtime. 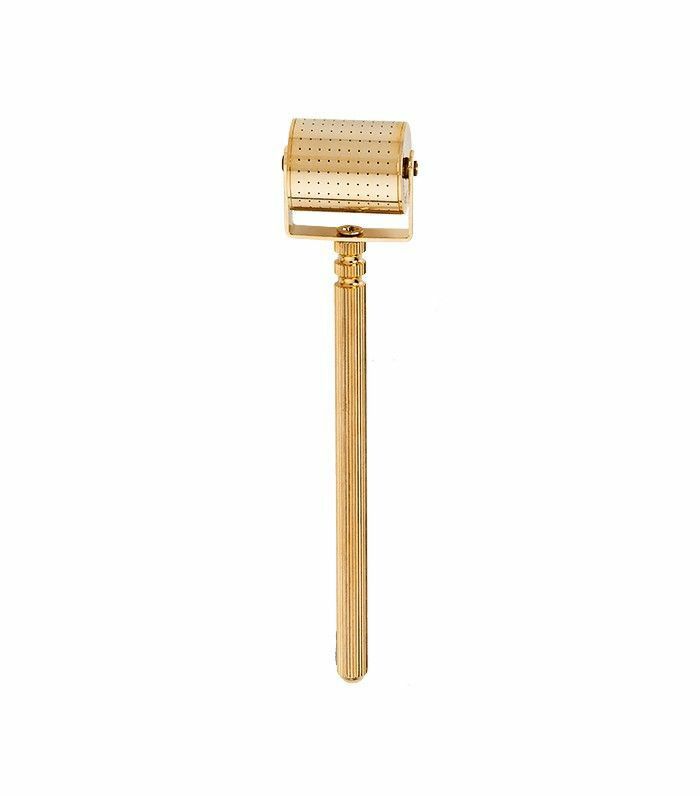 This gold-plated tool (#luxury) is made up of 260 ultrafine surgical steel needles. Don’t worry, we get squeamish, too—but this tool is far from scary. It works to dramatically improve the power of your beloved skincare products, and leads to more immediate results. Our skin is a natural barrier, so the roller safely opens up small channels in your skin. More channels equals more ways for products to absorb. Start on your forehead and roll over your skin in a vertical direction, then move on to the rest of your face using diagonal and horizontal motions. 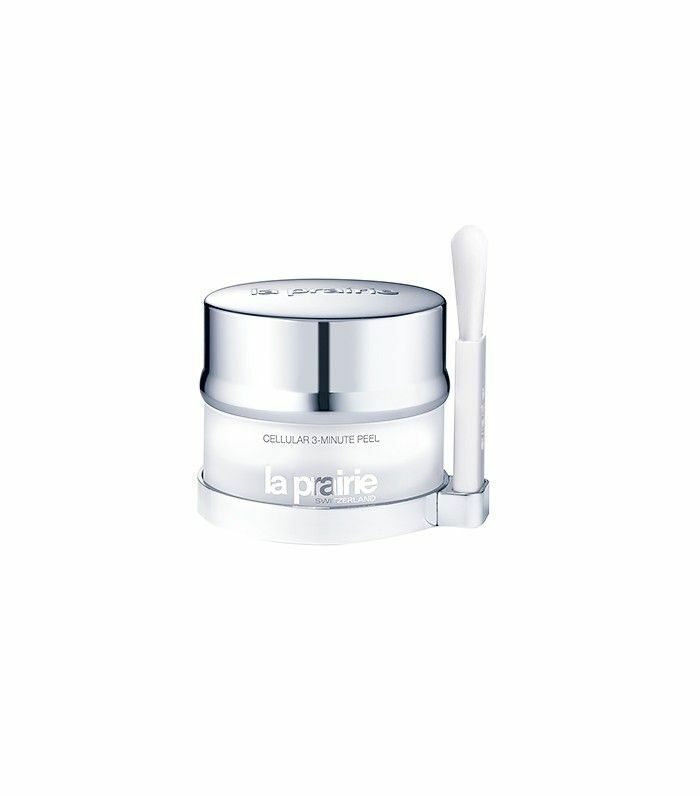 Inspired by the sought-after treatment at the brand’s namesake spa, this formula combats all the visible signs of aging: wrinkles, uneven tone, and dryness. 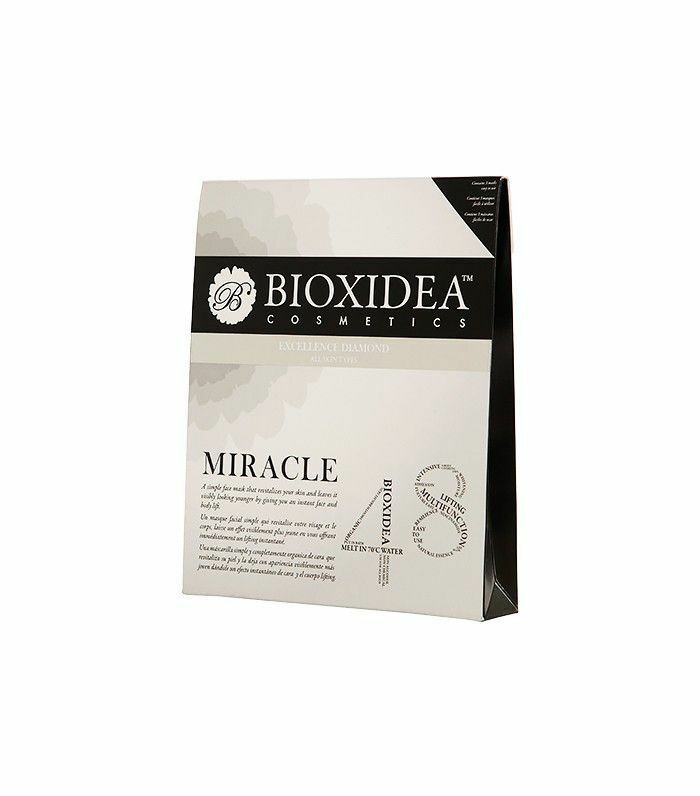 It infuses the skin with much-needed oxygen and intense moisture, delivering glowing results. Dispense two to three stripes along your cheekbones, jawline, and forehead. Massage it in, let it absorb, and feel totally Zen. 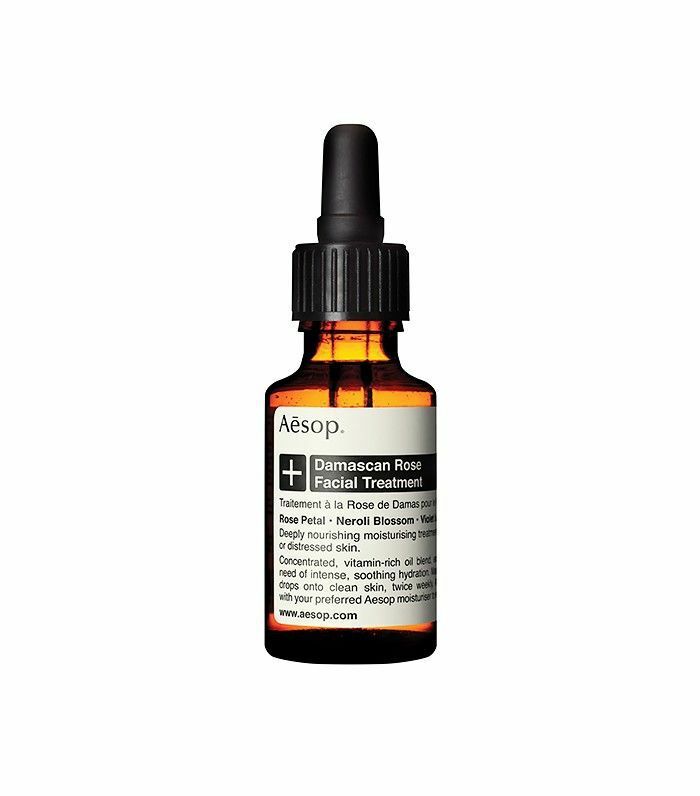 This super-concentrated treatment oil provides serious doses of vitamin E and A to deeply hydrate distressed skin. It’s perfect if you’ve been feeling stressed and need a few uninterrupted moments to relax and recover. Luckily, this offering will work on your mind and your skin. It incorporates rose hip, neroli, and violet leaf oils to deliver much-needed nourishment to your mug—and it’s an incredible sensory experience to boot. Apply two to four drops, and breathe. If you live in an urban area, you’re already aware of the damaging effects pollution has on your skin. These little capsules are filled with antioxidant-rich goodness that works to de-stress and break down harmful toxins that clog up your pores. There’s a morning option (blended with rose absolute) and one for nighttime (with soothing lavender) that stimulate circulation and keep you feeling blissed out. This is an incredible at-home option if you’re in the mood for a facial but would rather stay inside. It’s a two-step, biweekly system that includes a self-foaming mask and replenishing serum that’ll pamper and treat your face—no matter the issue. Dull skin? You’re covered. Uneven skin tone? It’s gone. Apply a thin layer of the mask and follow it up with the serum for purifying benefits you’ve only experienced with an esthetician. If you’ve been having trouble sleeping, this is for you. Rather than spending time at the spa, turn your bathroom into the ultimate oasis with this set of lovely sachets. 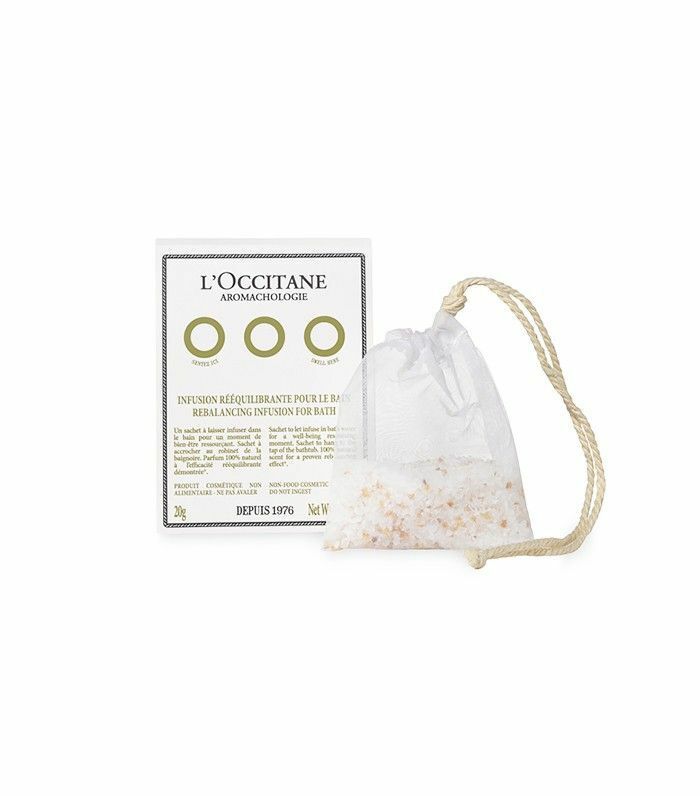 Each one is enriched with lemon peel, sunflower oil, and salts to infuse your bath water with a smell that is otherworldly. Trust. Hang one sachet to the tap of your bathtub and let it steep while you sleep. Oftentimes clay masks can leave the skin feeling tight, but this one is totally different. Spanish clay naturally absorbs surface skin oil and draws out impurities—without drying out your skin. It’s basically a miracle. Apply a generous layer and massage into your skin. Leave it on for 10 minutes and you’ll look and feel better immediately. Speaking of spa days, here's another product we love that makes our skin look post-spa glowy.